The Policy Exchange has invited Dee Kelly to speak at the Autumn Conservative Party conference in September in Birmingham, UK. We at times may forget that Dee has a serious side and had previously been invited to speak regarding Budget Day on Sky News. She had also been invited to speak about her experiences following ‘Benefits Street’ (where she was featured as “White Dee” by Channel 4) on News Night. 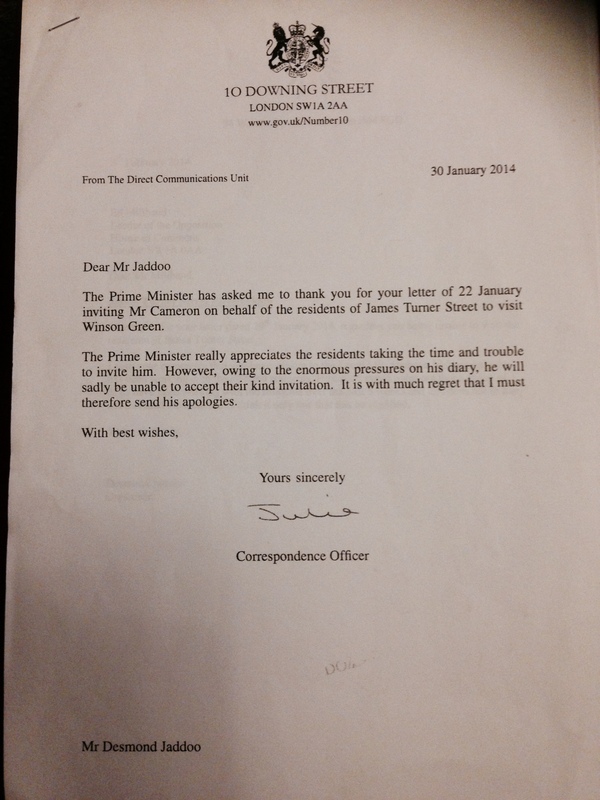 She and her neighborhood community had hoped to speak to Prime Minister David Cameron in January but he had declined (photo above). She hopes to catch up with him this time at the conference. Dee has flirted with the idea of becoming an MP and has shown herself to be a well-spoken advocate, lending her voice and profile to many charities and local issues in recent months. She may even win a few votes this autumn.